OPENCACHING NORTH AMERICA • View topic - Did you know that YOU can be a trackable? On GeoKrety.org, you can register a traditional trackable, a book or CD, or a human. I think I'll make myself a GeoKrety with a mission to go to Australia and back. Anyone want to help move me along? Re: Did you know that YOU can be a trackable? 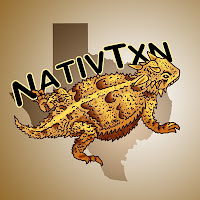 NativTxn wrote: On GeoKrety.org, you can register a traditional trackable, a book or CD, or a human. I think I'll make myself a GeoKrety with a mission to go to Australia and back. Anyone want to help move me along? LOL, don't know if you would fit in my Backpack. Tackling Ontario's hiking trails one step at a time and now invading Michigan Trails as well. You know, I might get a geokrety code for my caching vest. Would love to get it on a patch, though.